Narendra Modi’s trip to Japan in early September will be one to watch in the Asia-Pacific this year. As Clint noted in the Tokyo Report, additional details have emerged about the content of the upcoming and much-await summit between Indian Prime Minister Narendra Modi and Japanese Prime Minister Shinzo Abe. The two countries will formalize a “two-plus-two” bilateral framework between their defense and foreign ministers allowing for improved strategic communication. India and Japan have held such meetings before but on an irregular schedule. Under a new agreement that the two sides are expected to sign during Modi’s trip to Japan in early September, such exchanges will occur annually. Currently, India and Japan hold prime ministerial summits every year–a rare feature in the foreign policy of each country. The Modi-Abe summit could be one of the Asia-Pacific regions more important bilateral meetings this year. For one, it will demonstrate the trajectory that India’s new government wants to take with Japan. 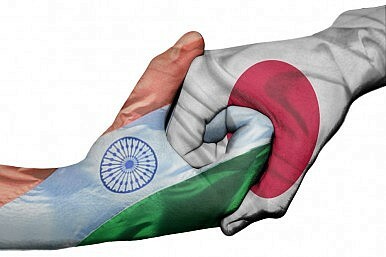 India and Japan have come together since 2006 when they signed a Strategic and Global Partnership. The strategic convergence between the two countries–one being Asia’s richest democracy and the other its most populous–was largely precipitated by China’s rise. In recent years, as Beijing has grown more assertive in its near seas, India and Japan have concomitantly scaled up their relations. During Modi’s trip, expect to see discussion (or possibly a deal) involving the military technology transfer deal between the two countries. Japan is slated to sell New Delhi 15 amphibious maritime surveillance aircraft this year. During September’s summit, expect to see both Modi and Abe come together in expressing their support for status quo principles governing the use of Asia’s inner seas, including preserving the freedom of navigation and the safety of vital sea lanes. The two sides may further formalize cooperation between their navies. Each of these developments will come at Beijing’s expense. The United States, meanwhile, will be happy to see India and Japan come together to preserve the existing order in the Asia-Pacific. In strategic terms, it’s worth keeping a close eye on the outcome of the first summit between Modi and Abe. Abe is a known Indophile who makes no secret of his deep admiration for India. He additionally sees India as a pivotal element of an Asian security order alongside Japan, Australia, and the United States. As Modi Gears Up to See Abe Again, What's Holding Back India-Japan Ties? Much work remains ahead for the India-Japan bilateral relationship. The US-India-Japan Trilateral: Economic Foundation for a Grand StrategyOne More Tryst for Modi and Abe: What to Expect During the Latest India-Japan SummitJapanese PM Shinzo Abe Is Set to Visit India: What to ExpectLong Overdue: India and Japan Are Ready for a Full-Fledged Civil Nuclear DealWho Will India Send to China's Second World War 70th Anniversary Parade?